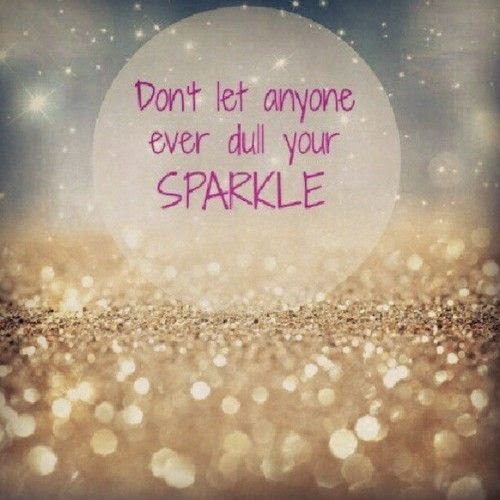 Sparkle and Shine... I may not be able to wear a stunning sparkling gown all day long, sigh.... the hand prints my hubby and kids would leave on my clothes alone (lol). When I feel the need to feel extra special, to take it dressing up a notch, and sport some sparkle and metallic! See this fun Fashion Friday inspiration hand-stamped glimmer card that will WOW! I love how Fashion can Inspire Crafting! 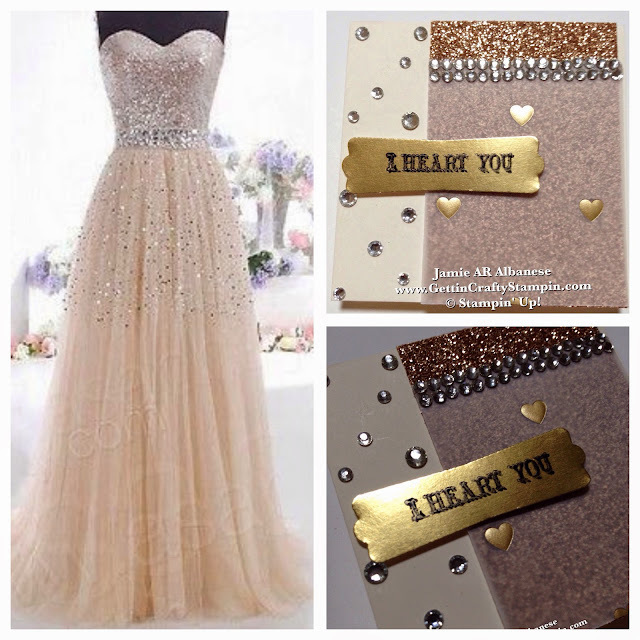 Here with this stunning dress on this Fashion Friday, see the results in this hand-stamped card. What inspires YOU?? Leave me a comment and let me know. Layers.. it's all about the layers. So here on this 3" square card (you can get eight 3" square cards from one 12" card stock) Layer the 2"x3" strip of Champagne Glimmer to one side. Adhere one of the Designer Gold Foil Vellum over the piece at 2"x2-3/4" so you have a sparkled layered look. 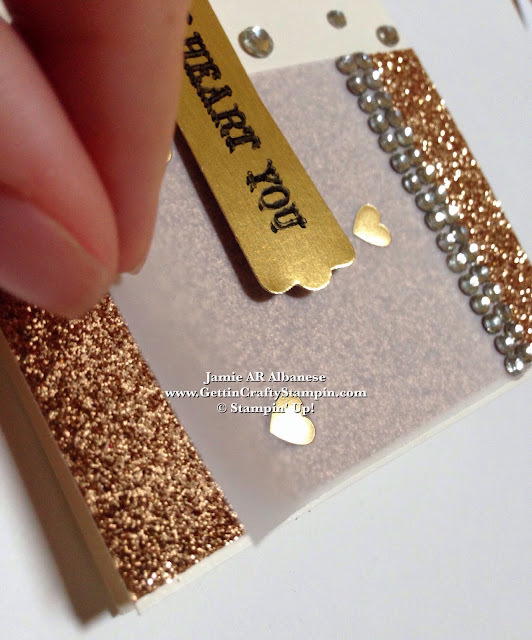 Apply the Glue Dots under the Gold Foil Hearts to hide the glue while giving a floating look. 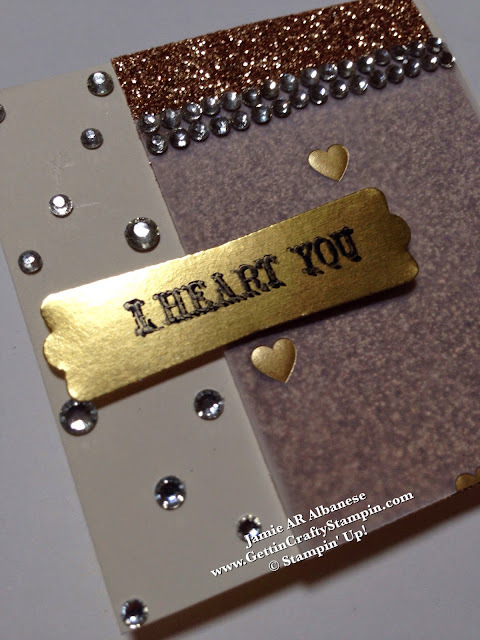 Stamping this 'I Heart You' sentiment from the And Many More stamp set, using Jet Black Stazon Ink on the Gold Foil. Punch it out using the Modern Label Punch for a stylish greeting. Add depth to the project when you use the Stampin' Dimensionals to raise the sentiment above the card! Add additional sparkle (why not??). Simply use the adhesive backed Rhinestone Jewels to cover the top of the Vellum (there are three connecting lines of adhesive backed rhinestones that make for an easy line of adhesive). Placing a variety of the Rhinestones on the Vanilla card for a fun look to this sparkle filled card! Get a JUMP Start on your Holiday Card making... start NOW! Consider a fun Private Class (with me) and have your family and friends join you (Holiday or Regular card making)! Don't Miss OUT on Upcoming Classes.. from the Sparkle and Shine class to Blessings Cards, Crafternoons and more! RSVP ASAP. Delivering a hand-stamped card is the perfect way to show that you care, it's just that much more special! When you can't pull on that sparkled, elegant gown on, stop and create a sparkle-filled, hand-stamped card that will WOW! I love how Fashion can inspire crafting and deliver a stylish card! No matter where you find your inspiration, CREATE (!!) - it is good for your soul while adding beauty to the world around you!